As we approach the launch of the Smyth G3F to the first customers we are hard at work tidying up all the loose ends in the bill of materials for the kit. The bill of materials is the master list of every piece on the kit whether it be raw material like steel tubing or parts we buy such as coil over shocks pictured here. This is where the rubber meets the road...how much is it all going to cost. Labor we can engineer into the process and by being clever we can keep the total hours spent organizationally per kit to a minimum. The parts we buy and raw materials have to be purchased from the outside... and this is the show when we talk manufacturing in the U.S. If the car is great but ends up costing 30 grand to make, all ten guys who buy it will love it....if we can keep the retail price of this kit near or beolw ten grand then the volume likely goes into the thousands. Like most companies making goods for sale we are faced with the inevitable dilemma of choosing the best and most reasonable suppliers based on cost/service/quality. Unfortunately for some U.S. suppliers it appears that the Chinese are beating them up pretty badly and yes, guys like me running companies that actually want to turn a profit are part of the problem. How we balance this reality of China in the supply chain affects everything we do these days. In my smaller world manufacturing cars in new england it works like this. We give the domestic supplier a solid chance to compete by establishing a framework for their success before we even start. All these guys selling more than a few parts to companies like mine are fixated on china as the price floor. The quality coming from the non japanese far east( China and India) used to take massive amounts of time and energy to manage...now it is one email and specs followed by a sample. The time it takes is the penalty. Getting a sample is fast but getting that shipment landed in boston takes 6 weeks. 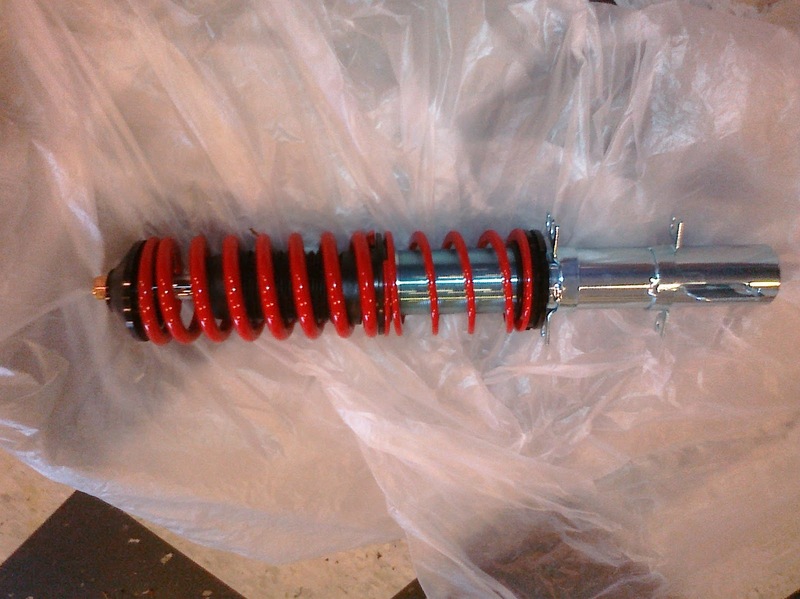 Lets take the part above that sells for about 150 bucks like the single coil over shock pictured. If the part at the same quality is delivered here for 100 bucks by the Chinese vendor, and the Detroit crowd can do it for 150% of that 100...they get the gig. I will spend 150% of the landed cost of the Chinese part to stay local... but that is it. If you are more than this in the U.S. you lose. This is neither blind patriotism nor undue harshness on my part. I have a better line of communication with the vendor in Detroit. It is just easier to do business here in this country. In the car world I probably went to school at Michigan with the lead engineer or the owner of the supply firm etc....just easier relationships. But the rub is that I can't stick with companies that are more than 150% of the cost from China. I cann be nice but I can't ignore the price point pressure we are under. So coil overs....lets look closer. We are selling a kit for 10 grand...do you think we have room for the $1500 coil over setups from Europe...no way. I am sure the "quality" is first rate....but please...almost 2000 bucks for a set of coil over shock absorbers..one fifth the price of our car...we will let the elite 1% of the market buy that stuff. Remember the selling to ten guys or selling to a thousand...so the Euro/U.S. guys don't get the nod,..not this time. The guy in china has a rep that speaks broken english in a few emails...they will send you the samples..nine misunderstood communications later. Compare the samples you get air shipped to the parts you have purchased from all the major coil over houses....and low and behold you see the same markings etc on the valve bodies and shock frames...it is the same manufacturer...the Chinese guy is making them for everybody...even the high end shock guy from Europe.... and yes they are about 50 bucks a piece in large volume...case closed. When it comes to shocks it is china 1 U.S./ E.U. 0. I am using China as the foil to the story but it used to be Mexico, India, you name the emerging supplier base of the day. China is different. They are making things better and less expensive than anyone on earth and if you are in the business of making things you should take a good look and plan for this amazing worldwide shift in manufacturing power. Now this is not the case with laser cutting, steel tubing, or many of the other fine vendors that supply the Smyth G3F with parts...but the far east suppliers do much of the work for almost any car company large or small like it or not. 50% on top of prices from a company that has to ship stuff halfway around the world is a good rule and works really well for me...if our guys in the U.S. can't compete when they have that much of a leg up...then it is the business climate in this country that has to change. My bet is that it is not the small companies to blame for this lack of competitiveness....it is structural such as the legal environment in the U.S. The legal system in our country is enemy number one and the topic of the next note. For now don't blame the Chinese for making parts for a third of what you can make them for...find out how they are beating you(no it is not slave labor) and compete with your strengths and ingenuity. 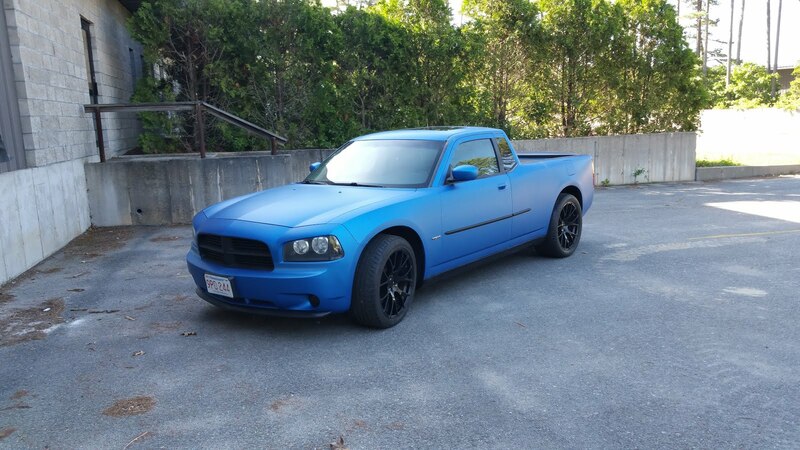 Raw materials are made into products in much the same way all around the world...do your best to keep making things here...I will give you a 150% head start while I weld up the rest of the car here in Wareham, Mass. I look forward to shipping Smyth kits to the huge emerging hot rod VW market in China. Major, higher end corporations that due manufacturing in China spend nearly as much money manufacturing as they do in quality control. A sample may work great, but there is the possibility of internal or material cutbacks that are not immediately apparent. Much of the "same factory" items are created by so-called ghost-shifts, same factory but less trained, less paid workers using substitute materials. This isn't to say that good quality Chinese manufacturing doesn't exist because it clearly does, however constant diligence is necessary to catch the little "changes" that can occur and add up to serious QC issues. Its best to buy a product from a known company (even Chinese company), let them handle the QC issues, rather than take on the "brown box" product and become responsible for it. Cheap manufacturing also exists in other places in the world, notably Vietnam (highly educated workforce) and Brazil, but neither has the workforce size or raw materials resources for world-scale manufacturing.